Rosie for Autograph: Sparkle and Magic. | By Millie. The Rosie Huntington Whitely collaboration with Marks & Spencer's has been everywhere, and I thought I would go ahead and try something out for myself. First the packaging is just wow, rose gold everything, very Charlotte Tilbury, and the selection of products and colours are beautiful. The two things I really wanted to pick up was an eye stick, check, and a blush, but they didn't have the shade I wanted in stock, so I'll pick that one up another time. 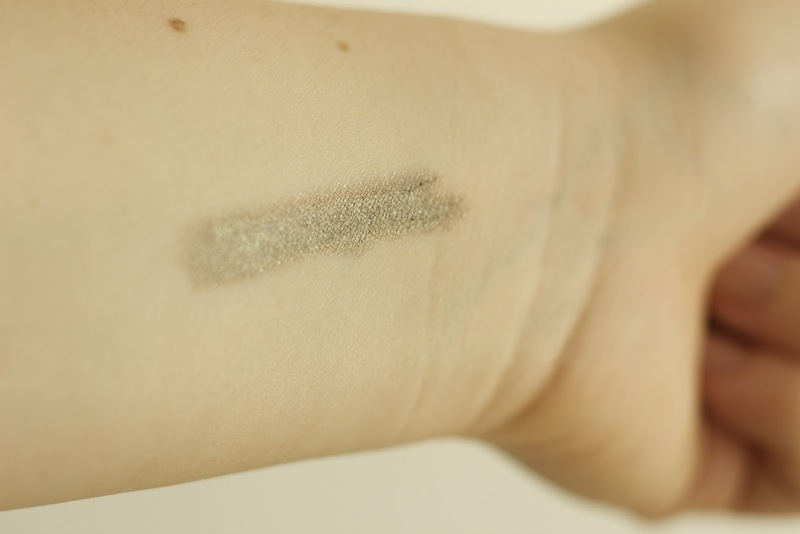 When I was swatching the eyeshadow sticks, I was going to for a classic taupe, my go-to, but I opted for something different and a shade I don't already own in stick form, Sparkle and Magic. At £12.50 a pop, these aren't bad at all, and they definitely look like they're worth more. This shade is lovely olive green, with a slightly taupe undertone making a fairly natural olive shade which isn't too in your face and bold. The formula is super creamy and blends like a dream but stays put all day. There are only four shades to choose from, but they are all very wearable and gorgeous to use as a base or on their own. I will definitely be going back for more, like I said, the blush is on my list, and there were a few other bits and bobs which caught my eye whist browsing the stand.